Motherboard manufacturers are prepping for the imminent release of the AMD Ryzen 3000 CPUs with new BIOS updates for existing motherboards. We are, of course, expecting them all to take advantage of a new range of CPUs and chipsets by releasing a slew of brand new 500-series motherboards, but thanks to the backwards compatibility of the AM4 platform you will still be able to run Ryzen 3000 processors in old school motherboards. Though not all of them. 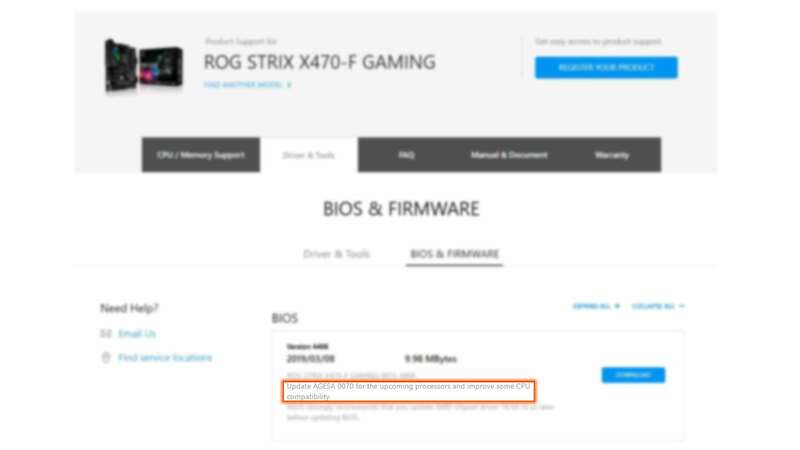 The new batch of MSI, Asus, and Biostar BIOS updates have rolled out to existing X470, B450, and X370 motherboards… but not for the B350 boards. There had been earlier speculation that the lower end of 300-series motherboards wouldn’t be compatible with the new AMD Zen 2 CPUs, despite the original AMD assertion of AM4 CPU compatibility up to 2020. Support, however, could be left up to the actual motherboard manufacturers themselves, however, as it’s possible the only real restriction on the B350 boards is the capacity of the BIOS chip itself. Higher-spec boards sport 32MiByte chips, while the B350s only have 16MiByte capacity BIOS silicon. That would suggest the boards themselves would be Ryzen 3000 compatible if only the actual microcode could fit in the smaller BIOS chips. Motherboard manufacturers could fork their BIOS updates to only include support for the latest chips, but that would be a lot of work for probably not a lot of benefit. After all, if you’d bought a low-end 300-series board and a 1000-series Ryzen chip, would you really be upgrading to the latest and greatest AMD processor just 2 years later? Biostar is the most obfuscated, simply calling its March updates “AGESA ComboAM4 PI 0.0.7.2 update.” The AMD Generic Encapsulated Software Architecture (AGESA) microcode with the 0.0.7.x designation is the one designed specifically to support the new Ryzen 3000 processors, so if you see that popping up for your motherboard there’s a good chance that it will be Zen 2 compatible. Though expect to see AMD Ryzen Desktop 3000 ready badges adorning the product pages of your AM4 motherboards as soon as AMD deigns to release the new processors. And when will that be? We’re expecting some announcements around Computex this year, at the end of May/beginning of June. There are, inevitably, conflicting rumours, however. 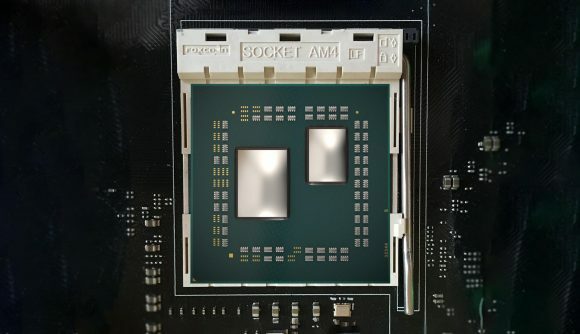 Some suggestions have the Ryzen 3000 release date on July 7, to match the 7nm basis of the new architecture – 7/7, but as AMD is turning 50 on May 1 some rumour mongers have put that date forward as one that might provide some more Ryzen details.